Yesterday, the Royal Historical Society (RHS) launched their research report which highlights racial and ethnic inequalities in the teaching and practice of history in the UK. Less than 1% of university academics are Black, according to the RHS’s report. The report draws attention to the fact that while history remains a popular choice at GCSE and A-level, BAME students are less likely than their peers to choose history in examination or university applications. Underrepresentation at all levels is particularly apparent for Black students. The Historical Association (HA) has been concerned about the engagement of Black and all BAME students with history at school for some time, and a Freedom of Information request made to the DfE by the Historical Association in 2016 only cemented these concerns. The response to this request indicated that of the students entered for history at A-Level only approximately 4% of students (in Year 13) were Black and 6% Asian, although the data was supplied with caveats around how such information was gathered. The new RHS report reveals that the trend continues into university, with only 11% of history university students identifying as being from BAME backgrounds, with just 2.4% from Black and 3.8% from Asian backgrounds. These figures provide stark reading when set against 2011 census data that showed over 20% of the eligible population being from BAME backgrounds, a figure which has undoubtedly risen in the intervening 7 years. It is also clear that BAME participation in history at university level is much lower than for other subjects such as business, law and medicine, where BAME students represent 33%, 34% and 35% of cohorts respectively. Overall, BAME students represent 23% of university students, broadly in line with census data on population. Unsurprisingly, less than 1% of university lecturers are Black. One third of BAME respondents to the RHS survey reported witnessing discrimination or abuse of colleagues, staff or students based on race or ethnicity and 29% indicated that they had experienced it themselves. 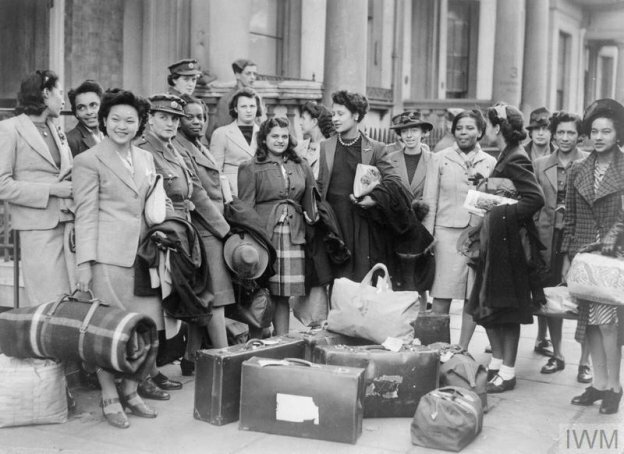 Why are BAME students not opting to study history? The HA has supported initiatives to increase BAME participation in History at all levels and was therefore keen to hear from John Siblon, a teacher at City and Islington FE college who carried out focus groups with students which contributed to the RHS report. Speaking at the RHS’s launch of the report, John delivered a strong and powerful message for change. He was particularly moving when he read out the comments of his BAME students and their perceptions of history. It is clear that there is not just one reason that BAME students are not opting to study history but several, from lack of representation in the curriculum and in textbooks, to being steered away from history as it was perceived that history would not help them in a strong career. This powerful and long-overdue report concluded with recommendations and advice for addressing this unequal and unacceptable situation. The HA remains committed to doing all we can to support change and assisting others to create equal access to history for everyone.